Because what else are you going to wear to a Levi’s party? 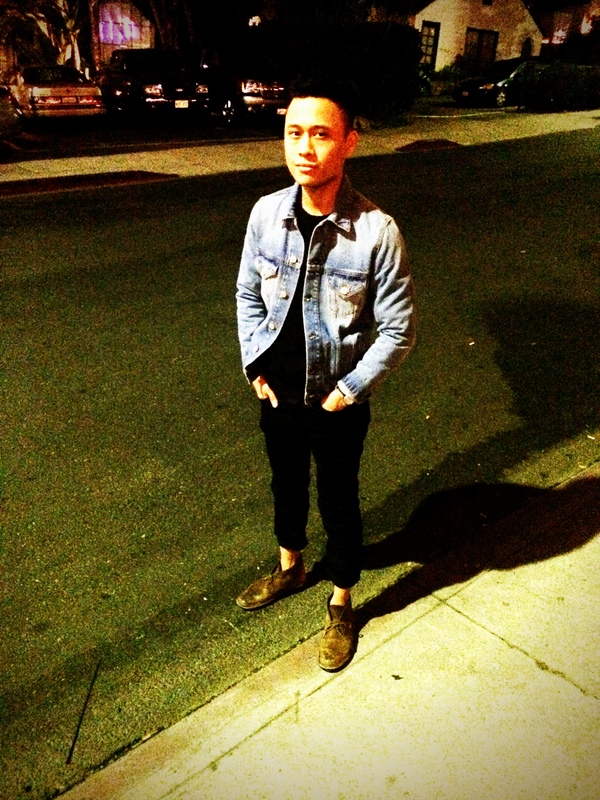 Last night, outside of the celebrity-studded Levi’s Haus in West Hollywood, I met Jeremy Gabriel head-toe in, what else? Acne Studios. 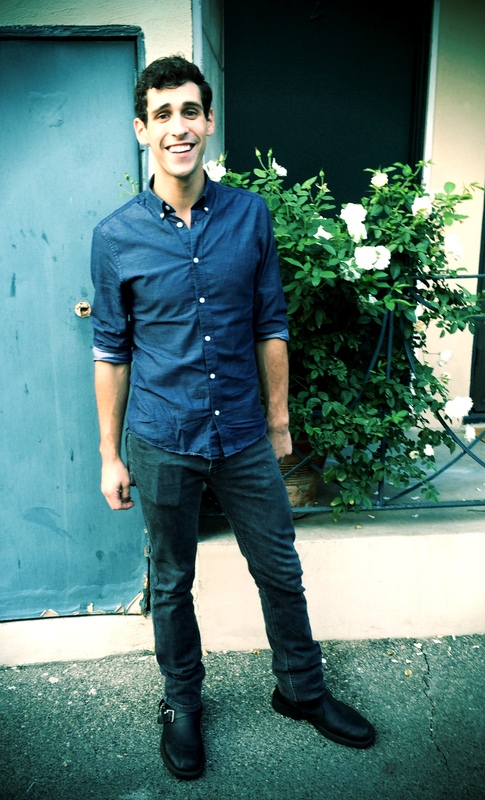 While I love this denim-on-denim ensemble, I cannot take my eyes off of those shoes. Almost amazing as Acne’s new space in Downtown LA. 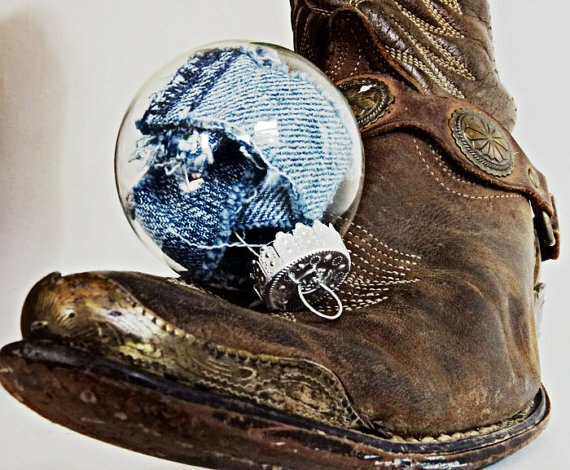 Pretty please can you get this Esty vendor to make more of these denim ornaments? Kind of obsessed and been a real good girl all year. 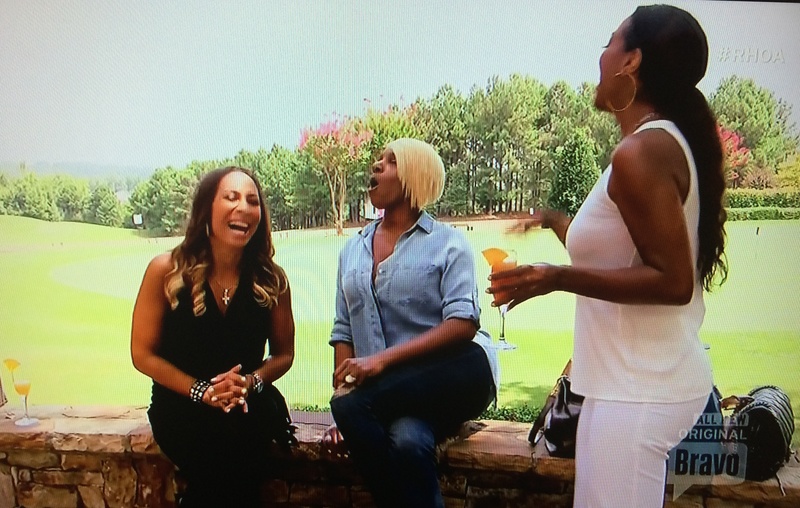 Mrs. Linnethia Leakes was seen in a Canadian Tuxedo at her clubhouse on the Real Housewives of Atlanta last night. She’s pictured above still having fun before leaving early as some of the ladies were up to three hours late. I still don’t get why she’d have a party these ladies, who always seem to be Tardy For The Party … but I do love all the double denim they rock in Hotlanta. Keep it up, ladies. 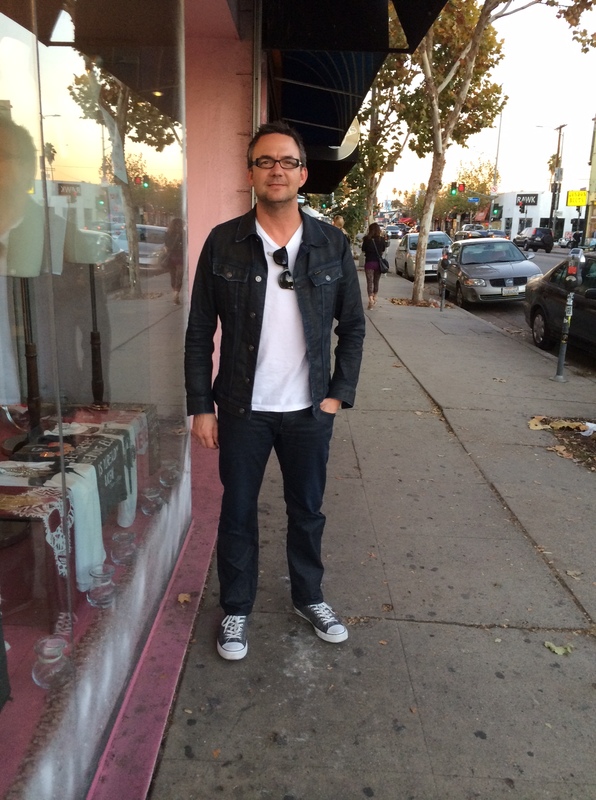 I caught up with this super stylish Canadian Tuxedo – G-Star Raw jacket and waxed denim jeans – on Melrose in Los Angeles yesterday. 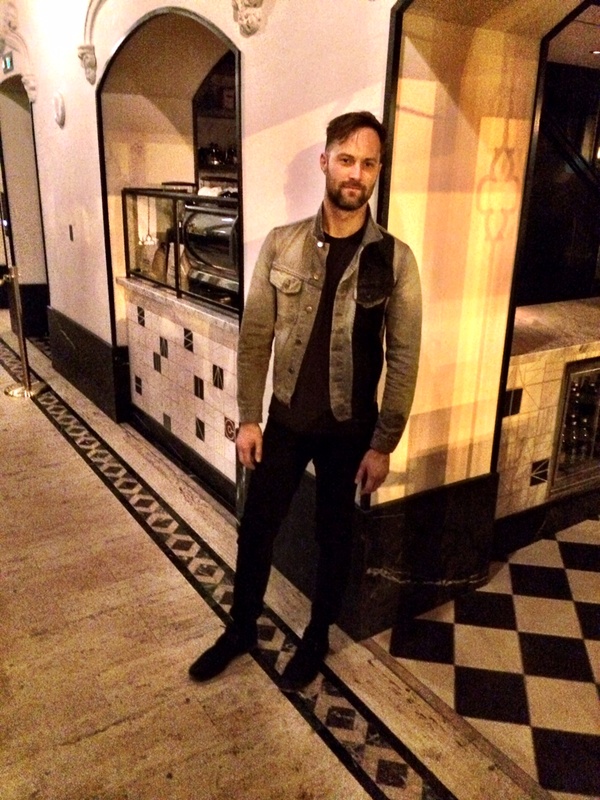 And while I was blown away by the waxed denim (slight obsession), I was even more thrilled to find out the model was none other than Thomas Curran, director of food & beverage at Umami Restaurant Group. And anyone who knows me, knows I’m mildly obsessed with their social media efforts and that I’d probably ditch denim for a Hatch Burger. 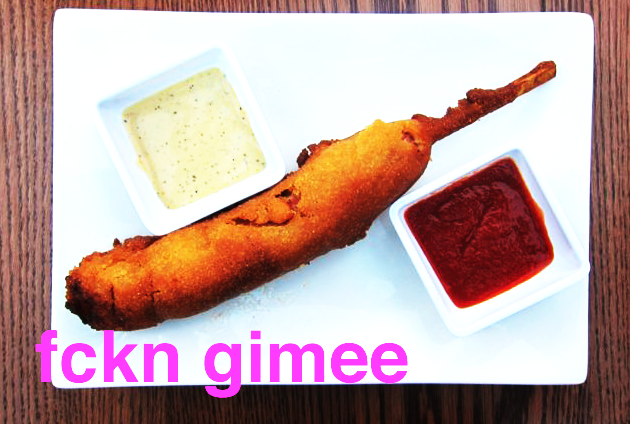 Hell, I’ll even head to the Valley for a Show Dog. Speaking of … have to share this graphic Jesse Bulger, NYC designer/fellow hot dog enthusiast, made me in celebration of the Burbank location opening earlier this year. Here’s my adorable neighbor/father of my dog’s girlfriend/actor Calvin Radsick in a Canadian Tuxedo. My fellow Ohioan is seen above in Zara jeans and a Forever 21 top.